Drake made a little girl’s dreams come true with a surprise hospital visit. 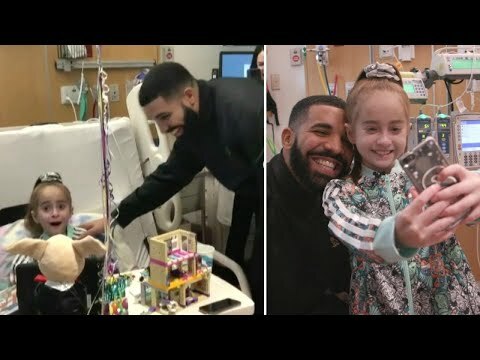 Sofia Sanchez is awaiting a heart transplant and gathered up the strength to recently do the “Shiggy Challenge,” also known as the “In My Feelings Challenge” based off Drake’s single, “In My Feelings.” She has been diagnosed with cardiomyopathy, a condition that often leads to heart failure. Three weeks ago, she received open-heart surgery and while she was recovering, she decided to do the dance, asking Drake to visit her on her 11th birthday. What If Logan Paul Fought Jake Paul?